Solar panel cleaning services for domestic properties in Peterborough and surrounding areas. Solar panels work by allowing light into the solar cells. The more light that hits a panel, the more power it will generate. Due to the upwards angle of solar panels, they are more prone to bird droppings and a build-up of general dust and dirt that does not wash off with just rain. This reduces the amount of light hitting the panel and reduces its output. As the projected energy figures claimed by solar panel manufacturers and installers are based on the optimum performance of clean solar panels, this build-up of dirt can adversely affect the panel's ability to meet those projections. So it is important to clean solar panels in order to protect and maintain your investment. Regular solar panel cleaning will also help you to make the most of the government feed-in tariff. 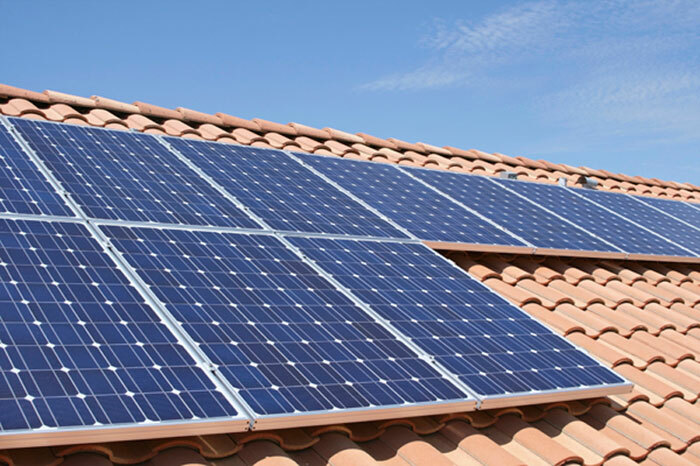 We at MW CLEANING SERVICES use only pure water and a specially developed soft bristle brush to clean your solar panels. Call us for a very competitive quote or use our quick online enquiry form.